There is lots of positivity around the car wash industry at the moment. 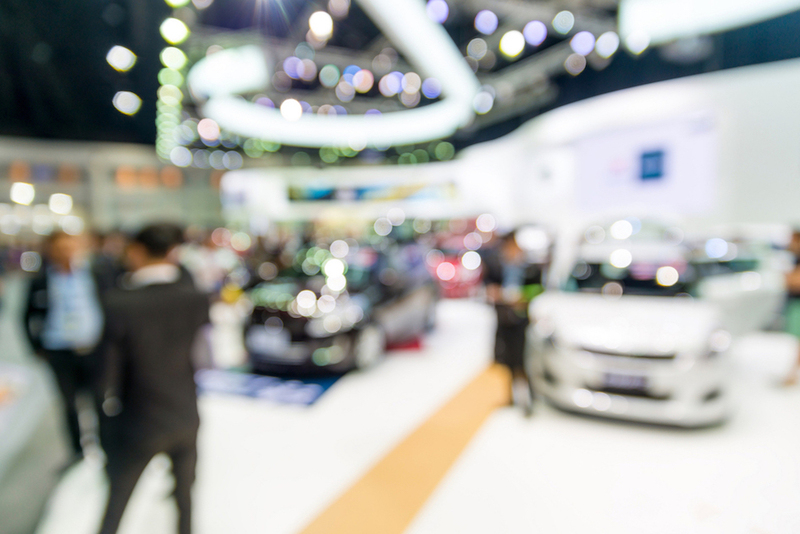 From the UK, to US and even new emerging markets, car wash businesses are perfectly positioned to capitalise on new opportunities with consumers and clients. New add-on services, better technology and equipment, increased consumer disposal incomes, more cars on the road, and other factors are leading to car wash businesses feeling excited about what can be achieved. But success in the car wash industry involves understanding the details and nuances in what the market truly wants. Old fashioned services and methods will leave huge opportunities for savvy competitors to come in and steal market share – both globally and locally. From using the best car wash technology to employing top talent, car wash operators need to make smart decisions to ensure their car wash business has longevity. One of the first decisions a car wash operator must make is the type of car wash service they will offer – self-service? In-bay automatic? Tunnel/conveyor? Touchfree car washing isn’t as common but has grown in popularity and online searches for such services are increasing. But what is a touchfree car wash, and is it right for your business? What is a Touchfree Car Wash? Touchfree car washes, also known as touchless and no-touch, are washing services that simply use water pressure and chemicals instead of cleaning brushes/cloths. 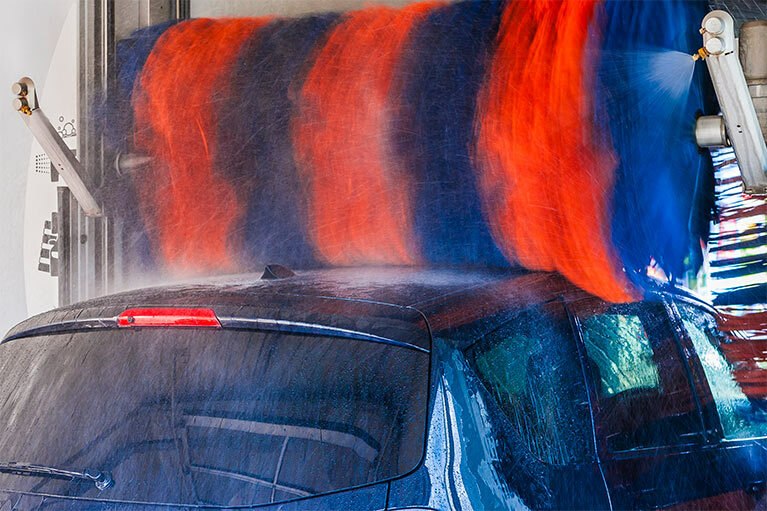 Most car washes use some sort of brush/cloth as part of the cleaning process. But in a touchfree car wash, cleaning brushes are replaced by high pressure water and chemicals to remove dirt and provide a quality finish. This is supposed to minimise the chance of any damage to the vehicle or its paint. Touchfree car washes are an alternative to other business models such as inbay automatic car washes, tunnel/conveyor car washes, and self-service. 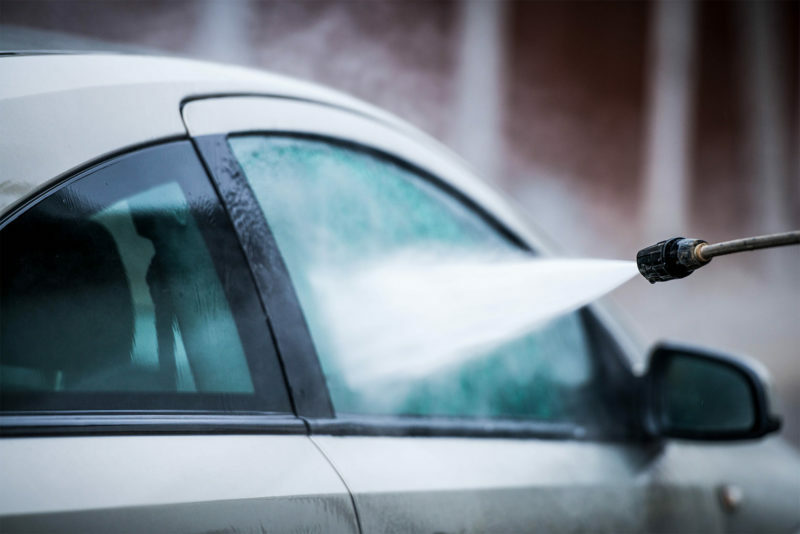 Self-service may include pressurised water with chemicals are part of the cleaning process but often includes brushes and clothes and other accessories to give customers more flexibility in how they clean their cars. If you need help in understanding different car wash business models, please don’t hesitate to get in touch with us here at PSD Codax. With over 25 years’ experience in the car wash industry, we are perfectly positioned to help offer recommendations and support for anyone looking to develop and grow their car wash business. You can’t simply remove the car wash brushes/cloths and spray high pressure water at a car and assume you’ll get a perfect clean. A lot goes into the science of ensuring touchfree car washes exceed expectations. If car wash operators get these elements right, touchfree car washes can deliver a fantastic clean. However, like any type of car wash business model, get it wrong, and it can not only leave customers underwhelmed but it could fail to clean or even damage a car. Water Quality – Not all water is the same quality. Understanding the pH and other quality indicators will ensure you are delivering the best results for your customers. Water Temperature – Temperature will be an important metric for the overall cleaning. Too cold and it is likely it won’t deliver cleaning results as expected, but too hot, and it may damage the paint work. Chemistry – Touchfree car washes are likely to use certain chemicals in the water spray to help deliver a premium clean. Understanding what chemicals to use and in what ratio will have a huge impact on the overall finish. Time – Car washes will need to understand how long it takes to get the dirt off. Again, too short time period and dirt may remain on the car, while too long could lead to inefficiencies in business operations and reduced profitability. Water Pressure – The water pressure is also an important factor in cleaning the car. 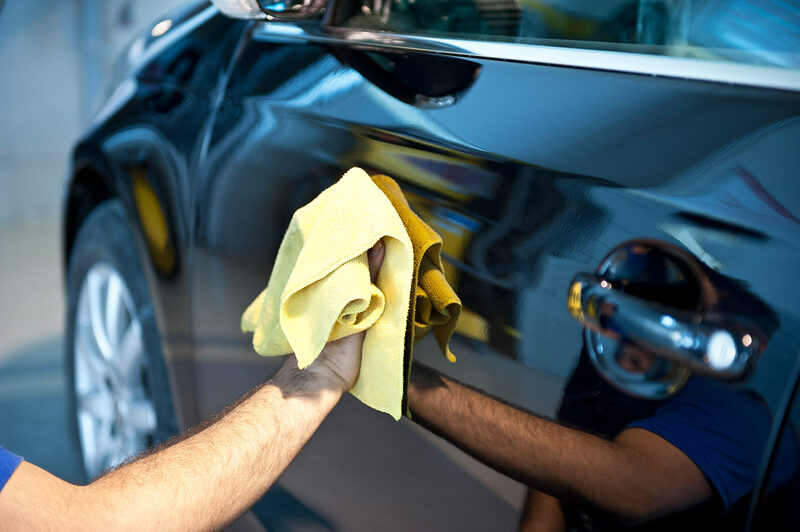 Low pressure will fail to get dirt and mud off, while high pressure could potentially damage paintwork – so again, its about finding the balance that delivers the best results for cleaning and your business. Is a Touchfree Car Wash Right for You? Many in the industry feel passionately about touchfree car washes, either supporting it or arguing against it. Supporters argue it is simple and effective, minimising any chance of damage to a car. Advances in technology means the pressure and elements can be adapted to suit the requirements of each car. It can also give greater flexibility for car wash operators to service unusual shaped vehicles. Those who argue against it claim it can’t deliver the same quality cleaning as alternatives. It also does rely on chemicals, which means it doesn’t come risk free – getting the chemical balance wrong could also damage paintwork or leave staining. The use of chemicals may also bring up potential environmental concerns if these chemicals are not managed effectively. Many also suggest touchfree cleaning can take longer and lead to longer waiting queues, which can cause implications for forecourt management and customer satisfaction. As a car wash operator, its up to you to decide if you think your customers will favour this type of cleaning service. At the end of the day, understanding what your customers want and delivering this to them is the ultimate way to grow any business. Every car wash business model brings with it advantages and disadvantages when compared to each other, so it boils down to choosing the one you think delivers the best value for your customers. If you’re looking to get more out of your car wash business, make sure you get in touch with us here at PSD Codax. It doesn’t matter what car wash business model you choose; our technology and products can help ensure you delight customers every time. Our code access system reduces shrinkage and loss for forecourt operators while giving customers quick, easy and reliable access to carwash and valet services. View our brochure here or simply get in touch to learn more about how PSD Codax can help support your business.